Welcome to the online home of Dr. Todd W. Austin. Dr. Austin is a Chiropractic Physician and Low Level Laser Therapist. 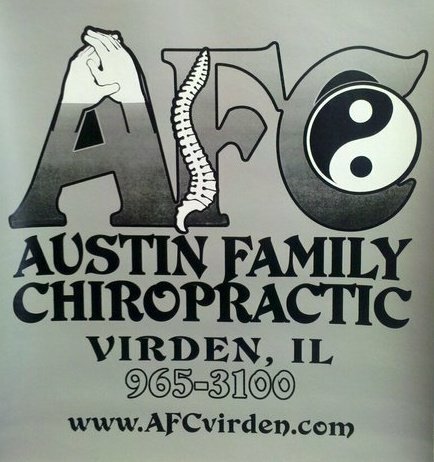 At Austin Family Chiropractic in Virden, IL, Dr. Todd has served the needs of hundreds of cold laser therapy patients dating back to July 2005. 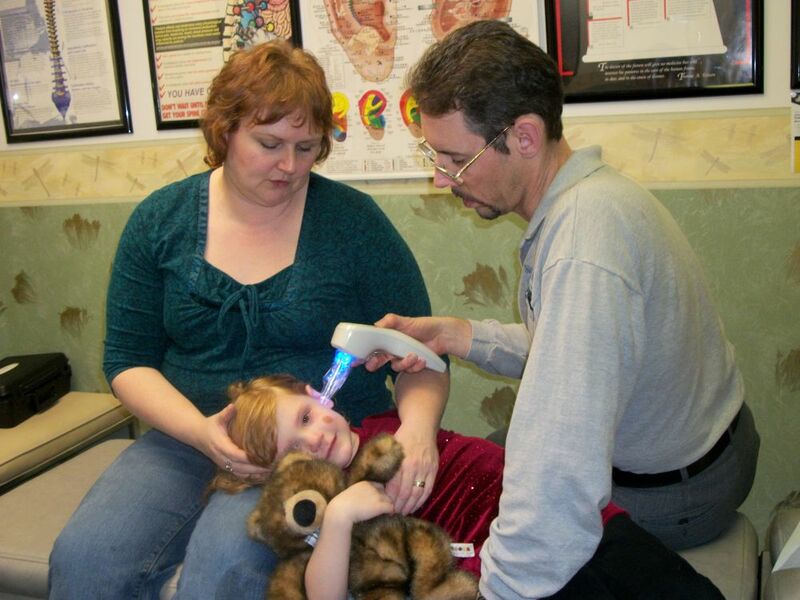 Approximately 70% of Dr. Todd's patients on any given day recieve low level laser therapy (LLLT). Dr. Austin frequently receives referrals from other Central IL Doctors of Chiropractic (as well as MD's, nurse practitioners and physicians assistants) for LLLT. If you suffer from either acute or chronic pain and feel like you may be a candidate for LLLT, Dr. Todd would be happy to provide you with a FREE consultation. And he'll gladly co-manage your case with your doctor. Call (217) 965-3100 or e-mail Dr. Todd for more info or to schedule your LLLT appointment today! As a Cold Laser Therapy expert who serves as Official Team Chiropractor and Cold Laser Therapist to a Semi-Pro Football Team, Dr. Austin's interview with Melissa of CHIROPRACTIC ECONOMICS was featured in the JULY 2013 edition of ChiroEco Magazine. 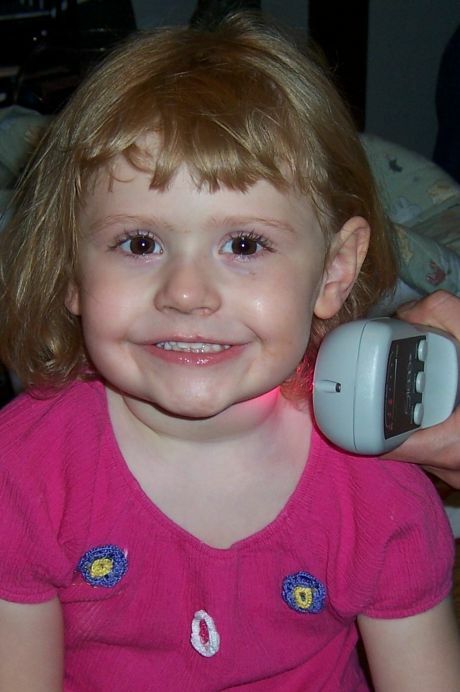 Blog post by Dr. Todd Austin about all COLD LASER THERAPY device's NOT being equal! Blog post by Dr. Austin about FDA Approval for Osteoarthritis of the Hand. "What is LOW LEVEL LASER THERAPY?" or "What is COLD LASER THERAPY?" The word LASER, an acronym for Light Amplification by Stimulated Emission of Radiation, is the name of a device projecting intense radiation of the visible, ultraviolet, or infrared portions of the light spectrum. The laser instrument produces a very thin beam of light in which high energies are concentrated. We will use the terms "Low Level Laser Therapy", Cold Laser Therapy" and "LLLT" interchangably, as they all refer to the same thing. We will also include the newly coined international term "Laser PhotoTherapy" and it's abbreviation "LPT" to mean the same as "LLLT" as well. Dr. Austin makes it a point to typically use three different laser devices (of Austin Family Chiropractic's six main laser devices) on each patient during each LLLT treatment. *No one laser device can cure every condition, contrary to what many laser manufacturers claim. Therefore, Dr. Austin has assembled an arsenal of many different low level laser therapy devices depending on the individual needs of each particular patient. The patient has an acute neck injury. Therefore Dr. Austin would first use AFC's LLLT device that is best for quickly reducing inflammmation. Secondly, he would use AFC's LLLT device that's best for reducing muscle spasms. And lastly, he would finish up with AFC's LLLT device that's best for treating joint, bone and nerve issues. The patient has a chronic arthritic knee or shoulder joint. Dr. Austin would first use AFC's LLLT device that is best for quickly reducing inflammmation. Then he would utilize AFC's LLLT device that's best for treating joint and bone issues. Finally, Dr. Austin would with wrap up the treatment with one of AFC's deepest penetrating super-pulsed LLLT devices that reaches deeper into the arthritic joint in question. Obviously, those clinic's that only own a single LLLT device are usually stuck with using the same device (ie, same wavelength and power level) on every single patient no matter what the main complaint is. Unfortunately, that type of treatment approach is going to lower their success rate. Thus at Austin Family Chiropractic we utilize many different wavelengths. We also use cold laser devices with different power outputs, ranging from a constant 5 mW (milliWatts), to 50 mW, to 500 mW to our clinic's two newest super-pulsed technology LLLT devices that boast peak power levels of 15 & 25 Watts respectively. These last two devices deliver 'average power output' in the safe range of 500 mW or less, but with the ability to penetrate deeper into joints. Surgical lasers are the most common type of lasers in the medical field today. They are used to destroy, cut and cauterize tissue. These are referred to as "HOT" Lasers for reasons that should be obvious. Hot Lasers have a heat-producing effect and a power output of either equal to or greater than 1 Watt. Constant wave lasers with a power output of 500 milliWatts or less or superpulsed lasers with an average power output of 500 milliWatts or less are referred to as "Low Level" or "Cold" Lasers because they do not have a thermal effect on tissue. The lasers that we use at AFC to stimulate biological function have an output ranging from 5 to 50 to 500 milliWatts, depending on the target tissue or involved area that needs treated (skin, muscles, tendons, ligaments, bones, nerves, etc). Treatment time is dependant on the severity of the injury. The usual treatment time is between 30 seconds to 5 minutes per area, point, joint, muscle or location treated, with a usual total LLLT office visit lasting approximately 10 to 15 minutes. The physiological repair effects of low level laser therapy are achieved by the light's reenergizing (or repolarizing) of injured and malfunctioning cell membranes. LLLT also increases the intracellular energy output by more than 150 percent. The extra energy becomes a repair and restoration mechanism so that the damaged cell begins to thrive once again. Advantageous actions of low level laser therapy take place in all organs and tissues of the human body, by creating more normalized cellular functioning once again. The canceling wave effect of viruses, fungi, bacteria, and a variety of parasites so that they fail to survive as pathological organisms. Since the biostimulative-regenerative, anti-inflammatory, and analgesic characteristics of low level laser therapy began during the past half-century, a massive number of laboratory and clinical studies have been conducted. More than 1,700 published pieces have appeared in the medical literature, pointing to the effectiveness of LLLT. There are over 1,700 published studies and not one of them mentions any negative side effects of LLLT. Cold lasers are safe, non-toxic and non-invasive. There has not been a single recorded side effect! Of sixty patients between the ages of 20 and 65 years who were victimized by neck and upper back osteoarthritis, LLLT was applied for the condition's relief. The people were randomized into two equal groups and given LLLT or a placebo laser. Patients in each neck arthritis group were investigated in a double-blind fashion without the doctors knowing who had received which type of application. The doctors evaluated patients for pain-related physical findings such as increased back muscle spasm, loss of spinal curvature, range of neck motion restriction before and after therapy. Functional improvements showed up significantly in the low level laser therapy group and not at all in the placebo group! A medical experiment was conducted in a randomized, crossover, single-blind, placebocontrolled fashion on victims of carpal tunnel syndrome. The results were revealing and provided health professionals proof that permanent relief for acute and chronic wrist pain is readily available. Carpal Tunnel Syndrome (CTS), a common defect of the wrist and hand, is a disability affecting several million people in Western industrialized nations. It is caused by pressure on the middle nerve in the wrist's carpal tunnel. The condition causes much pain and often prevents the victim from pursuing any occupation involving wrist movement. The median (middle) nerve serves a person's palm and thumb side of the hand. Pressure on the nerve causes multiple symptoms: weakness, pain, as well as burning, tingling, and/or aching that may spread to the forearm and the shoulder. Weakness and wasting of muscles may occur from lack of wrist movement, getting in the way of full use of the thumb and fingers. Pain may be either infrequent or constant and is often most intense at night. Now prolonged comfort is assured for sufferers of CTS because researchers in the Department of Neurology at the Boston University School of Medicine uncovered that Low Level Laser Therapy (LLLT) is highly effective in eliminating wrist pain completely. The painfree results last for between one and three years. This medical school investigation involved just a small number, but it was extremely convincing. Eleven people received red-beam laser therapy directed at acupuncture points along the painful hand and wrist. The true treatment was compared to a placebo or "sham" treatment which provided no therapeutic benefit. Both applications were painless, and patients could not tell which they were receiving because the affected hand was treated hanging behind a black curtain without the patient knowing if treatment devices were real or sham. Proven by this July 2002 experiment is that the pain of carpal tunnel syndrome treated with a low-level laser directed at acupuncture points markedly reduces wrist pain or causes it to disappear altogether. 1) Tuner, J. & Hode, L. Low Level Laser Therapy: Clinical Practice and Scientific Background. (Grangesberg, Sweden AB: Prima Books, 1999), p. 21. 2) Oezdemir, F; Birtane, M; Kokino, S. "The clinical efficacy of low-power laser therapy on pain and function in cervical osteoarthritis." Clinical Rheumatology 20(3):181-184, 2001. 3) Naeser, M.A. ; Hahn, K.A. ; Lieberman, B.E. ; Branco, K.F. "Carpal tunnel syndrome pain treated with low-level laser and microamperes transcutaneous electric nerve stimulation: A comparative study." Archives of Physical Medicine and Rehabilitation 83(7):978-988, July 2002. For more information about cold laser therapy please phone or e-mail Dr. Austin.